My church is about one hour of beautiful Montana driving away from my house. After services I listen to one of my favorite radio programs, "From the Top." This show gives teens opportunities to perform their music on stages such as Carnegie Hall. Regular performers are from Julliard, Interlochen, and some school in Cincinnati I can't remember, to mention a few. The show leaves me breathless. How can young men and women excel in their gift at such young ages? Why didn't they choose to hang out with their friends every evening after school? Why did they get up before six am every day? Devoted young men and women sometimes travel seven hours to get to school or private lessons, in addition to practicing long hours. The performances confirm the fruit of the teen's tremendous dedication to their music specialty. Any teen musician choosing to give half or an almost effort would be eliminated from their program. They Develop their skills through years of concentrated training with tutors, private lessons, group work, book work, homework, practice, redoing, relearning, renewing their desire to perfect their skill. Their thoughts dance around their specialty, working through concepts and difficult skills. So focused. 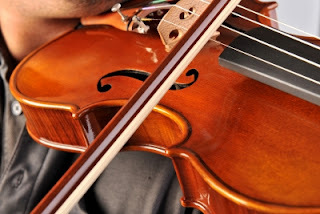 They Destroy incorrect fingerings, out of tuned phrases, incorrect breathing passages, misinterpretations of the piece, tone, intuition, vibrato, and pace. As a Christian Fiction writer I should do the same . . . and more. I should Dedicate my writing each day before my fingers touch the keys or my thoughts set in motion. Why would God want to bless anything else? I should Deliver nothing less than 100% of what I am able to do. I have a love painting in my home, painted by my oldest daughter when she was in kindergarten. It was her best and a work she felt very proud to present to me. It is lovely. As she grew her skills grew. The 100% presentations changed with her skills. God does not expect me to do more than He has given me talent for at the time. Neither does He expect me to do less. I should Demonstrate God's calling. Not saying (telling) words like "God gave me this story and so I wrote it. Instead show what God gave you by devoting your time, developing your skills, destroying incorrectness, dedicating your work to God, and delivering nothing less than 100% of what God gave you. 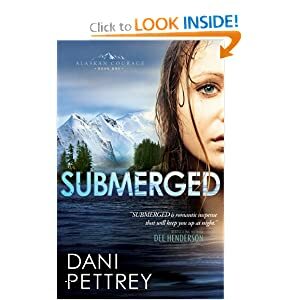 This post was inspired by the last reading challenge in which I read Submerged by Dani Pettrey. The plot of this romantic suspense novel was superb. I am going to take a brief sabbatical from my Why Writers Should Read series. My next post will appear the week after the ACFW conference. I can't imagine not having something splendorous to report. As I read the first half of this post, I kept thinking of another secret these kids had going for them: supportive parents! Or, in keeping with your theme: Dad and Mom. Which is an out-of-character thought, since I don't have kids, but it lead to random thoughts of supporters and writing friends. 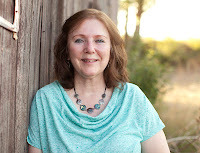 Not that you inherit a support group like you do parents, but you can reach out to others and glean from them and be there for your writing friends. I especially like your thought of devoting time and effort. Wanderer, you are so right! You could also say "Dear" Friends who crit and encourage you along the journey! Mary, I loved this post. So often we think it is mostly about talent and gifting, but much of the writing success can boiled down to Determination. Gotta work hard! This post is inspiring -- and I've loved this entire series, Mary! Mary carries such beautiful wisdom, doesn't she? I can't wait to see her (and you) in a few days either. Mary, this is a beautiful post! I love all your "D" words--every one of them applies to our writing. And to our thoughts while writing (at least mine). For me, I need to destroy wrong thinking/comparing myself with others. When I have my thoughts and my heart focused on the Giver of my story, I write much stronger. I look forward to meeting you in a few days! This is totally awesome: "Not saying (telling) words like 'God gave me this story and so I wrote it.' Instead show what God gave you by devoting your time, developing your skills, destroying incorrectness, dedicating your work to God, and delivering nothing less than 100% of what God gave you." Awesome! Great post, Mary! I've always loved the analogy of a writer being like a musician, and you have presented the idea beautifully. Going to check out your blog! Thank you Alley Cats for greeting our guests for me today. I was traveling with no Internet sevice. So, let me say a day late, thank you everyone for coming today. I sure look forward to seeing any who are able, at the conference. Blessings on you all.